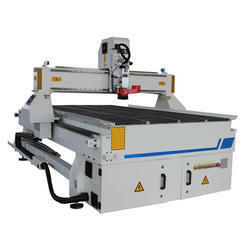 This machines has two laser systems which uses one laser tube, engraving and cutting together. It is not only reduce the cost, but also save the design time and process time, so improves the additive value and stronger the competition. Capitalizing on our in-depth industry expertise, we offer an extensive range of LaserCutting&EngravingMachineswithMetalTube-KL-4Seriesto our clients. These are available with A1+ size working area and a flexible traversing-door design. Our range is suitable for big-scale laser engraving application purposes. We also offer our range with a unique cooling and dust-proof focus lens module. 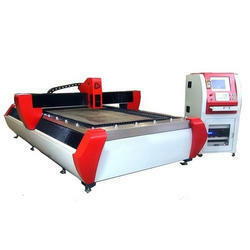 Today, KL-4 is the biggest combination of laser engraving machine, as well as laser cutting machine. Easy-to-use, like a laser printer. Compatible with Microsoft Windows software. Expedites engraving, cutting and point drilling. Pin-Type auto focus. Easy to maintain Mirror Lens Air from Nozzle Alignment Laser Head. Flexible design supports additional peripherals including rotary attachment, vacuum table, etc. Sealed CO2 Laser. 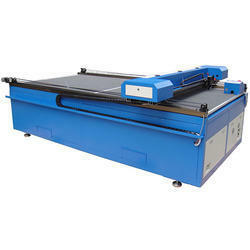 Our organization offers a superior range of Laser Cutting&EngravingMachineswithMetalTube-KL-3NMSeries.These machines available with the most mature, easy-to-use features of the KL family. We offer our range with A2-size working table, 210mm moving distance of Z-axis, and a flexible traversing-door design. This allows users to reach an effective work-in-process observation. 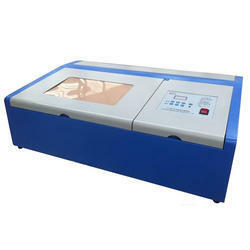 It is highly reliable and has high-resolution, high-speed, and best engraving solutions in the laser application era. Our organization offers a qualitative range of LaserMetalCuttingMachine – KYM-FCS1325-500Xto our clients at reasonable prices. It is ideal for precision machinery, hardware and steel plate processing. Furthermore, our range is applicable for stainless steel under 3mm thickness, carbon steel under 5mm thickness, stainless steel plate, iron plate, aluminum plate, brass plate and diamond saw blade materials. Furthermore, it is best suited for hard, fragile alloy material and has very excellent processing effect.